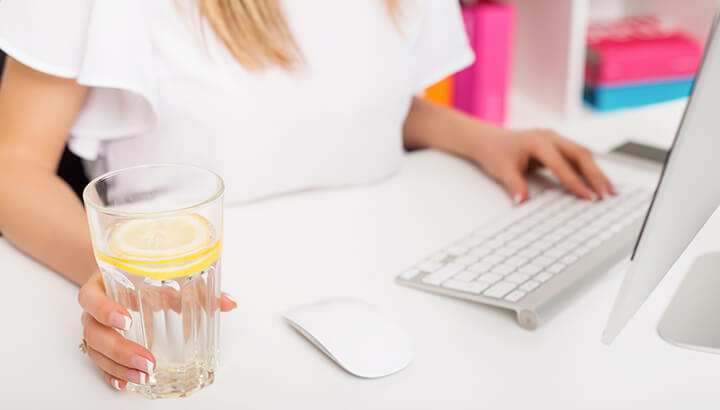 A few years ago, the lemon and cayenne diet was hugely popular with celebrities as a weight-loss “detox.” The diet consisted of lemon water sweetened with honey and spiced with cayenne pepper. In order to detox, it was recommended that this alone should be consumed for 10 days. The diet naturally led to rapid weight loss, but for most people, it had no long-term benefits. As with most diets, a less extreme approach is often more effective in the long run. The properties of cayenne pepper and lemon are ideal for detoxing the body when used as a supplement to a healthy lifestyle. A drink of lemon water, honey and cayenne pepper consumed daily can provide a wealth of benefits as part of a healthy diet. Much of the health benefits of this natural elixir come from the powerful active ingredients found in both lemon and cayenne pepper. Lemon contains around eight percent citric acid, which has historically been used as a natural preservative. Not only that, citric acid also aids in smooth digestion, helps dissolve kidney stones and actually helps to alkalize the body. Cayenne packs it’s own incredible health punch with the aid of capsaicin, a compound that has received considerable attention in the scientific world. Capsaicin has been proven to treat anything from headaches to osteoarthritis. Research continues to reveal more wonders of this antioxidant every year. Lemons contain a large amount of vitamin C, which boosts the immune system. Cayenne pepper contains an ingredient called capsaicin, which also has immune-boosting properties. A 1998 study published in the International Journal for Vitamin and Nutrition Research showed that mice fed with capsaicin had better immune responses than those that were not given capsaicin. 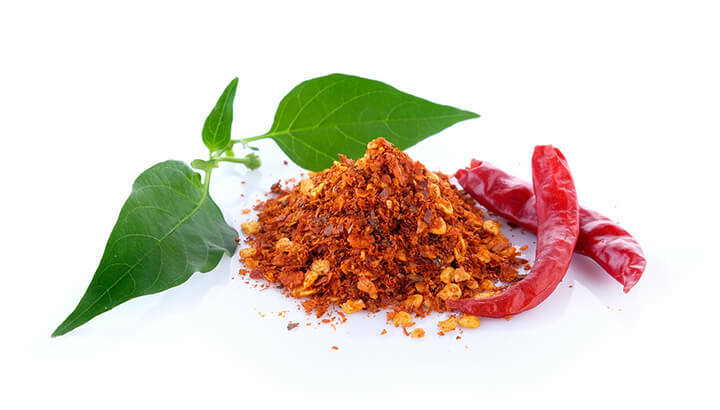 Cayenne pepper stimulates the digestive system and intestines. It can soothe gas, a sour stomach and other digestive problems. 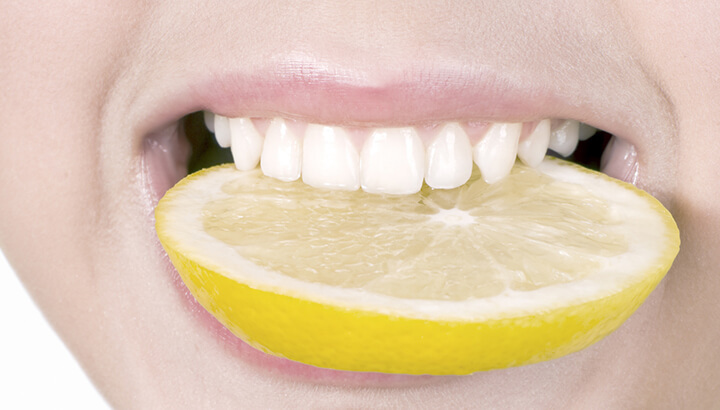 Lemon is also a natural stimulant for the digestive system and helps to balance acidity in the body. 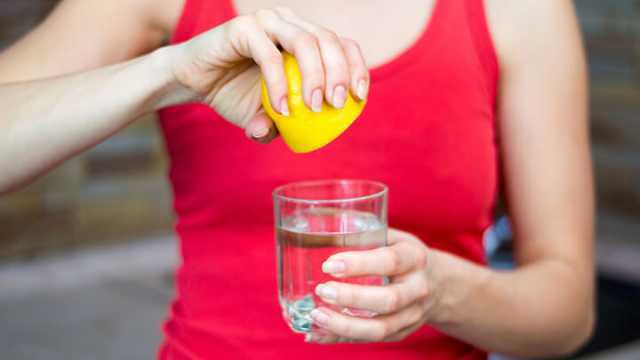 Drinking lemon water can even reduce heartburn and acid reflux. Cayenne and lemon are both powerful allies in the fight against bacteria. The properties in lemon and cayenne are so strong, they can be used as antibacterial cleaners. Drinking lemon water with cayenne can prevent you from getting sick. If you do happen to pick up an infection, the combination of lemon and cayenne can work to reduce your symptoms. Cayenne is stimulating to the circulatory system, which can help keep blood pressure low. It may even fight common heart problems that can lead to serious conditions. Cayenne works to strengthen the blood vessels, keeping blood moving efficiently and cholesterol levels low. Cayenne is an overall stimulant. It encourages the cells to work more efficiently. This not only improves blood circulation but also improves lymphatic health as well. Lemon and cayenne have short-term and long-term benefits. A 1998 study found that capsaicin has 22 anticancer properties. In some studies, capsaicin intake has been linked with a reduction in lung cancer. Drinking cayenne can help to alleviate gastrointestinal irritation. It reduces inflammation and other irritable responses to food intolerances or limited digestive capacity. This means that getting more cayenne in your diet can help to ease upset stomachs, reduce (and even remove) peptic ulcers and help decongest your airways. The atomic structure of lemon juice is similar to the digestive compounds found naturally in your stomach. Drinking a lemon water and cayenne pepper drink can actually help your stomach to produce more bile, thereby helping food move through your stomach more efficiently. This reduces the amount of time food spends in your stomach and also prevents certain protein-rich foods from rotting in your gut. The result is reduced stomach irritation, lower risk of developing stomach ulcers and ultimately a better outlook on food! The ability of cayenne pepper to dramatically reduce nerve and joint pain has received considerable scientific study. One of the ways in which cayenne achieves this is through actively reducing mast cells in the body, which are associated with inflammation and pain. Not only that, the capsaicin found in cayenne pepper actively blocks the body’s production of substance-P, a compound which activates the pain mechanism in the brain. Countless studies have shown that by exhausting the body’s production of substance-P, patients found significant decreases in both joint and nerve pain. Research even shows that consuming cayenne and other hot peppers every day can make a big difference with regards to back pain. Lemons make a good partner to cayenne when it comes to pain alleviation, as they are highly anti-inflammatory. Because inflammation is one of the key markers of pain, more lemon in your life can only be a good thing! The skin-healing abilities of lemons are legendary. A quick Google search brings up hundreds of natural remedies for anything from dry, itchy skin to serious epidermal conditions like psoriasis or eczema. Much of the benefits derive from the high vitamin C content in lemon, a well-known antioxidant and fighter of free radicals. Because free radicals undermine the health of your skin through oxidative damage of your skin cells, more vitamin C from lemon means healthier, younger-looking skin. Cayenne isn’t exactly loaded with vitamin C. Still, people have been using it for hundreds of years as a treatment for various ailments of the skin. These include snake bites, open sores and wounds, bug bits and anything in between. With these two ingredients together in a zesty drink, your skin will be looking and feeling better in no time. As many people know, blood clots can be very dangerous if left undiagnosed. These occur when blockages occur in your arteries and blood vessels, limiting the flow of blood through your circulatory system and starving your body of much-needed oxygen and nutrients. Cayenne may help to reduce your risk of developing blood clots due to its high concentration of capsaicin. This wondrous compound is believed to help clear away artery-narrowing lipid deposits, along with dilating arteries and blood vessels, thereby clearing away potential clots. We’ve all looked for that mystical weight-loss superfood at some point in our life. And while it may not be the holy-grail of dieting, cayenne certainly shows promise in reducing appetite and speeding up weight loss. A 2009 study published in the Journal of Clinical Nutrition found that capsaicin “suppressed hunger and increased satiety,” making it a useful ally in your fight to lose the pounds. Lemon can also be a great way to keep off weight, due to its digestion-supporting abilities. Increased bile production from drinking lemon every morning can ensure that your digestive system is more capable of breaking down the foods you eat, meaning you utilize more nutrients from every mouthful. Therefore, you won’t need to eat as much to stay satiated. Not only that, researchers have shown lemon to significantly reduce blood sugar spikes after eating carbohydrate-rich foods, thereby lowering your risk of putting on weight. Do you struggle to get started in the morning without one or more cups of strong coffee? While certain types of coffee are good for your health, you should only drink coffee in moderation and stick to the good stuff. An excellent, healthy alternative is a lemon water and cayenne pepper drink first thing in the morning. Lemons help to boost your energy levels by providing your body with plenty of negatively-charged ions. When these ions enter your digestive tract, they provide an almost instantaneous source of energy without the repercussions associated with caffeine or sugar. Not only that, the capsaicin found in cayenne pepper plays an important role in thermogenesis. This is the process by which your body converts energy into heat. More thermogenesis means more heat, which in turn increases your metabolic rate and provides you with a boost of energy. If you constantly suffer from debilitating migraine headaches, you either rely on prescription meds or retreating to a dark room. Neither of these options is ideal. These meds can often present harmful side effects. Plus, you don’t always have time to retreat to a dark room every time a headache hits! Research shows that cayenne pepper is able to significantly reduce migraines and cluster headaches due to its ability to impair the body’s production of substance-P. This occurs when the capsaicin in cayenne simulates the sensation of pain in another part of the body, eventually depleting substance-P and therefore lessening the sensation of pain or throbbing in your head. Drink lemon and cayenne pepper daily first thing in the morning to receive all of the benefits they provide. We do not recommend the extreme diet of drinking lemon water and cayenne alone. This is not a healthy way to lose weight or detox, and it should not be your only source of nutrition during the day. Balance the intake of your detox drink with a healthy diet filled with vegetables and fruit, and you will feel much better in no time. Next articleTrump And The Environment: What Could Change?